One dozen various children's kerchiefs are united in this uncommon find, meant for a special child, no doubt. 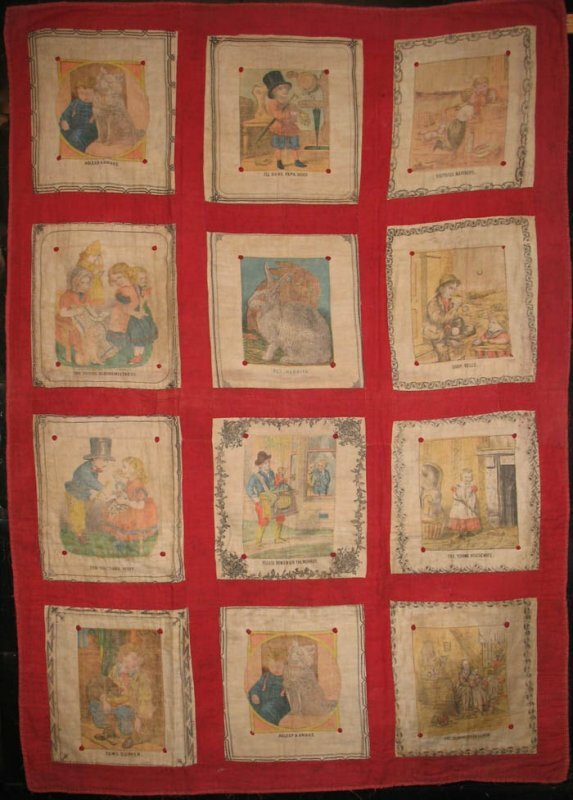 The chromolithograph kerchiefs were printed by various companies in England and in America, typically meant to be given as rewards of merit to accomplished children. Tied rather than quilted so as to preserve the integrity of the pictorial kerchiefs.